​​​ DALLAS – The 20-story M-Line Tower on McKinney Ave. in Uptown has opened. 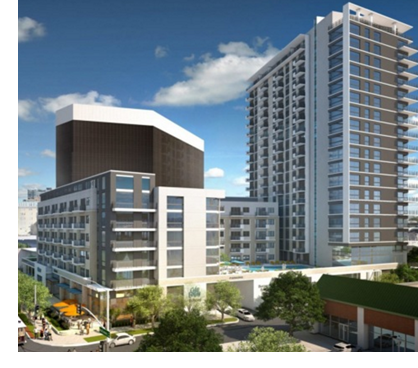 The tower includes 261 apartments and 11,636 sf of retail space. Rents range in price from more than $1,600 for a 581​-sf studio unit to $12,555 a month for a 2,511-sf penthouse. The rental community includes a business center, conference rooms and personal study areas, fitness center, a sun deck with a resort-style swimming pool and a "sky lounge" on the 20th floor.